Contains 2 active ingredients, Hydrocortisone Acetate and Fusidic Acid. Hydrocortisone is a type of medicine called a topical corticosteroid. These medicines reduce inflammation in the skin by preventing the release of inflammatory substances from the skin cells. These substances are important in the immune system, and are released as a result of allergy or irritation. They cause blood vessels to widen, resulting in the affected area of skin becoming red, swollen and itchy, as is seen in dermatitis or eczema. By decreasing the release of these inflammatory substances in the skin, hydrocortisone reduces inflammation and relieves itching. There is a range of potencies of corticosteroids applied to the skin. Hydrocortisone is classed as a mild corticosteroid. It is used to treat a wide variety of inflammatory skin disorders such as eczema and dermatitis. 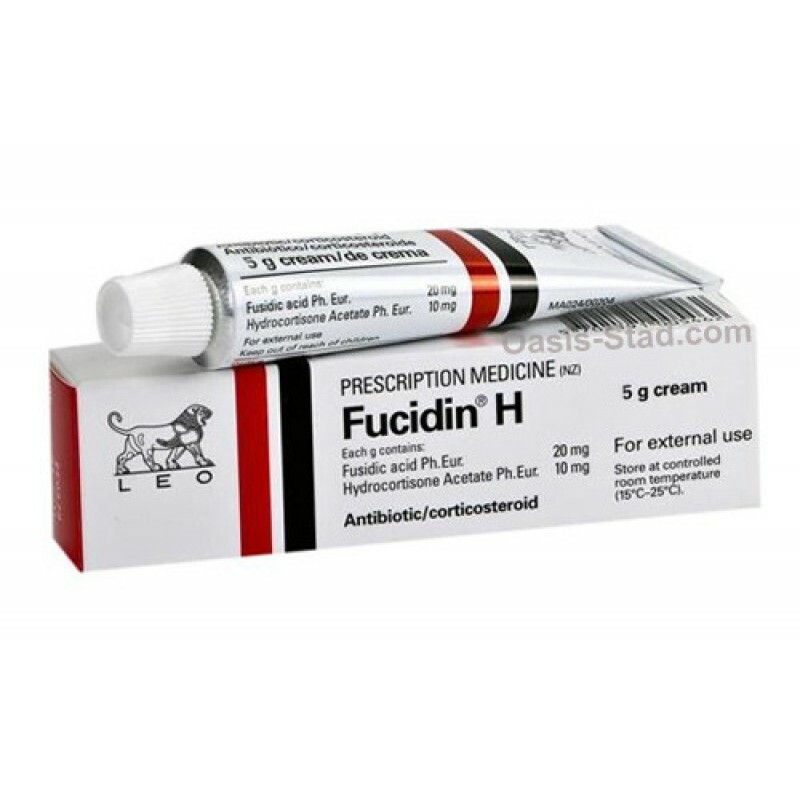 Fusidic acid is an antibiotic medicine used to treat infections with bacteria. It works by entering bacterial cells and interfering with the production of proteins that the bacteria need to divide and multiply. It doesn't directly kill the bacteria, but leaves them unable to increase in numbers. The bacteria eventually die or are destroyed by the immune system. Fusidic acid is included in this preparation to treat the bacteria that sometimes infect inflammatory skin diseases. Eczema or dermatitis that is also infected with bacteria sensitive to fusidic acid. The hydrocortisone reduces the inflammation in the skin, while the fusidic acid treats the infection.